“Given the large number of adolescents who smoke cannabis, the risk in the population becomes very big,” the study's lead author said. 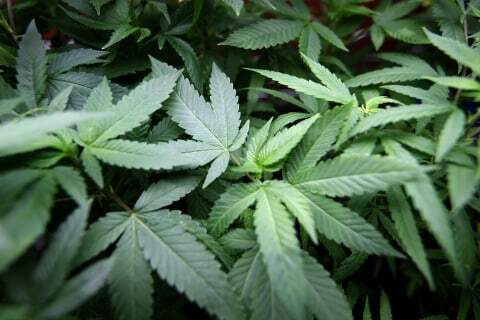 "We should not be punishing people for something that is no longer illegal," Gov. Inslee said. 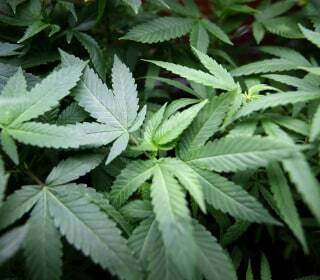 Washington is one of the states that legalized pot. More people are using cannabis as legalization spreads, and they should know that vaping pot can cause hallucinations, vomiting and paranoia, researchers said. At least 111 legal pot shops are planning to open across the nation of 37 million people on the first day, according to an Associated Press survey. A cannabis initiative team at UCLA plans to conduct a high-quality clinical study of the painkilling properties of pot — and perhaps stem the opioid epidemic. According to a Colorado senator, Trump vowed to soften Jeff Sessions' hard line against marijuana, but some pot proponents are wary. District Attorney George Gascon says his office will review nearly 5,000 old felony cases for possible action and automatically seal 3,000 misdemeanor cases. Los Angeles lagged behind other California cities in launching legal marijuana sales for anyone over 21 years old. The sales began at a few stores on Friday. Jeff Sessions' decision to rescind a policy that let legal marijuana flourish may give some banks pause, but probably won't slow the industry, experts say. Attorney General Jeff Sessions is giving U.S. attorneys the green light to enforce federal pot laws, even in states where its sale and use is legal. Pot becomes legal in California in 2018. But border checkpoints will still crackdown. The checkpoints, located up to 100 miles from Mexico, have been a trap for U.S. citizens carrying drugs — even tiny bags of marijuana. California issued its first batch of business licenses for the state's upcoming legal marijuana market sets the stage for sales to begin in January. While recreational marijuana will be legal in California, law enforcement continues to find illegal grows, and questions about the black market remain. Nevada may soon become the first state to allow recreational marijuana in public, paving the way for pot to be consumed and regulated like alcohol is in bars. Vermont almost became the first state to legalize pot through the legislature rather than a vote — until Gov. Phil Scott vetoed the bill Wednesday. Denver has approved a first-in-the-nation law allowing willing bars and restaurants to give patrons the option to use pot — but there's a catch. Wife Donna Weinholtz said pot was the best way for her to treat arthritis and degenerative spinal conditions that left her unable to get out of bed. Of all the measures, California's is seen as the most crucial: Not only is California the largest state, but many see it as a bellwether of change. People flocked to Oregon's first-ever marijuana growers' fair on Saturday, where a competition for best pot plants will be held. In a notice for the Federal Register, the DEA proposed to leave marijuana in the most restrictive federal category. State laws to allow patients with specific maladies to use medical marijuana — sans the "high" usually associated with the plant — are drawing fire. Yet for all the interest, the marijuana business remains fraught with risks and capital challenges. Tourists who come to Colorado and take advantage of the state's liberal marijuana laws often end up in emergency rooms, doctors said Wednesday. The measure known as Issue 3 on Tuesday's ballot would have allowed adults 21 and older to use, purchase or grow certain amounts of marijuana. Colorado's attempt to create a bank to service its marijuana industry has suffered another setback and could be facing an impossible legal dilemma. Sam had always wanted to grow his own pot. So when it became legal in Washington D.C. he entered the D.C. State Fair “Best Buds” competition. The sales-tax break would shave $20 off the price of a mid-grade ounce of pot in the Denver area, where ounces sell for about $200 before tax. College kids smoked marijuana more regularly in 2014 than cigarettes, a survey published Tuesday by researchers at the University of Michigan found. Cannabis sales shift from street corner to storefront as opportunists grab what they see as the biggest investment opportunity since the dot-com boom. A Colorado credit union is hoping a federal judge will let the booming marijuana industry move its finances from cash to the regulated banking system. With more companies going public every day, the still illegal industry is growing rapidly. The House voted on several pro-pot amendments on Wednesday aimed at tackling conflicts between the feds and state and local marijuana laws. A crowd of hundreds demanded that New York state legalize marijuana, as three other states have already done, during a rally at Union Square Saturday. Music legend Willie Nelson, who has made no secret of his love for marijuana, has launched his own cannabis brand, the singer-song writer announced on Monday — also known as "4/20" day. Anyone who signs up for a new Uber account on April 20 and uses the code RIDESAFELEAFLY will get $20 off their ride, according to Leafly. Colorado’s marijuana is nearly twice as strong as the illegal pot of past decades, and some packs triple the punch of vintage ganja, new tests reveal. President Barack Obama has warned young Americans not to focus on legalizing pot at the expense of more important issues. Ever since recreational pot became legal in Colorado, authorities have been dealing with a different type of marijuana boom: hash oil explosions. 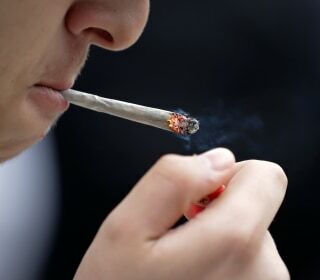 Teenagers who use marijuana heavily grow up to have poor memories and also have brain abnormalities, a new study shows. "Mayor caught buying marijuana" would be a damaging headline in some cities, but not in North Bonneville, Washington. Recreational pot — set to go legal in Washington, D.C. on Thursday — is less dangerous than both alcohol and tobacco, scientists assert. Alaska joins Colorado and Washington state in legalizing recreational use of pot, but Alaska's law leaves details vague, complicating matters. This is a year in the life of America's biggest experiment in recreational cannabis. Colorado grows and sells all manner of marijuana and the results of the experiment are starting to come into focus. Marijuana use should be decriminalized and pot should be reclassified as a less dangerous drug to spur medical research, top pediatricians now say. Colorado emerged as the state with the second-highest percentage of regular marijuana users as it began legalizing the drug, according to a study. Nebraska and Oklahoma on Thursday asked the U.S. Supreme Court to declare Colorado's legalization of marijuana unconstitutional. The Washington State Patrol says it welcomes anything that gets impaired drivers off the road. Many supporters of legal marijuana hope for a cottage industry of scrappy growers, collectives and dispensaries. Few expect to get it. Many stores in Colorado were marking the first official "Green Friday" after the state legalized recreational marijuana. Bob Marley was always more than a mega-selling pop star. But now his iconic name will front something new: the first global brand of marijuana. A federal law banning marijuana sales remains the biggest blockade to the dawn of a national cannabis industry. Residents of Oregon and Alaska are considering regulated markets in marijuana, a vote that could double the number of states where cannabis is legal. Health officials don't want them to be confused with regular food. The bill would make it harder for people to use welfare payments to buy pot in states where the drug is legal. It has little chance of becoming law. The State Department of Revenue said sales of recreational pot were $29.7 million in July, compared to $28.9 million for medical marijuana. Companies including Eaze and Canary aim to make marijuana delivery as easy as the tap of a few smartphone buttons. In Colorado and Washington, officials call pot tourism a myth. Travel websites offer another view. Which state is luring more weed-minded vacationers? After four years in a U.S. prison, Marc Emery is getting back to work immediately advocating around the world for legal marijuana. Five Years to Life in Prison for Selling Pot Brownies? Jacob Lavoro, 19, is accused of selling brownies for $25 and is facing felony charges that carry penalties ranging from five years to life in prison. The advertisement for Leafly will appear in the national newspaper one week after The Times' editorial board called for the legalization of marijuana. After marijuana became legal in Colorado this year, neighbors such as Nebraska, Wyoming and Kansas have all reported an uptick in seizures. Draw of Legal Weed in Colo. Behind Uptick in Homeless Teens? Colorado shelters are reporting a spike in homeless young people, and officials attribute the rise to the state’s new marijuana law. The paper's editorial compared the federal ban on marijuana to the failed prohibition of alcohol, and said states should be free to decide the issue. Workers still can be booted – or never hired – for puffing cannabis in Colorado and Washington if anti-pot rules exist in employers’ HR handbooks. While Washington's state marijuana law has changed, Seattle's drug-free workplace policy hasn't, City Attorney Pete Holmes acknowledges. The first three days of legal marijuana sales generated a tax windfall for Washington, where the only shop in Seattle was completely sold out. A Spokane, Washington, man who said he lost his job after he was seen buying legal pot was reinstated, and the company said it was a misunderstanding. Pot sales began legally in Washington State on Tuesday, with a select number of stores selling a limited amount of cannabis. "High Noon" took on new meaning in Seattle on Tuesday. Recreational marijuana sales began in Washington state Tuesday, but dedicated pot smokers may want to look elsewhere for the best deals. Cannabis growers are not helping California during a severe drought as pot plants are sucking up a priceless resource: water. Medical marijuana dispensaries in Berkeley will likely soon be required to provide free pot to low-income members, according to an ordinance approved on Tuesday. A Nevada-based startup that plans on selling medical and recreational marijuana products named former New Mexico governor Gary Johnson as its CEO. The first licensed legal marijuana business in Washington state is for sale to the highest bidder—and the bidding has begun. A network of detox centers says it's seen double the number of patients brought in for driving while high since legal recreational pot sales began. While a pot plant in the basement may not bring criminal charges, the same plant can become a piece of evidence in child custody or abuse cases. The United States is going from red, white and blue to green on green: That is, legalized marijuana and the tax bounty that pot revenue brings in. The Drug Enforcement Administration says it needs to procure 3,095 percent more marijuana for federal research than it had projected. Marijuana industry officials join state regulators to try to stop Colorado residents from eating too much weed. Two recent deaths tied to pot-infused sweets have prompted Colorado regulators to re-examine the rules for marijuana edibles. The Colorado Symphony Orchestra said it will play a series of "cannabis-friendly" fundraising concerts sponsored by the state's pot industry. Retired U.S. Supreme Court Justice John Paul Stevens said the time has come for the federal government to allow American adults to possess pot. 'We're Not Amsterdam': Is Marijuana Tourism in Colorado a Myth? Colorado’s legal pot law, so far, has not sparked a sustained surge of out-of-state weed lovers, say hoteliers and restaurant owners in the state. Two neural regions key to emotions and motivation become misshapen or abnormally large after repeated pot smoking, scientists reported Tuesday. A 19-year-old Wyoming college student on spring break in Colorado fell to his death after eating a pot-laced cookie, the Denver coroner said Wednesday. Many veterans are forced to break laws, lie to doctors or move from their families to use the one substance that they know treats their PTSD: pot. Hash brownies, space cakes and other pot-laced munchies won't be among the items allowed at Oregon medical marijuana dispensaries. Colorado inhaled about $2 million in recreational marijuana taxes in January, first full-month revenue report of the fledgling recreational pot industry in the U.S., the state’s Department of Revenue reported on Monday.